Former Fox News host Andrea Tantaros, having already sued the network for sexual harassment, is now accusing it of orchestrating a "criminal scheme" involving what she claims were illegal electronic surveillance and online harassment of her. In a complaint filed Monday in a Manhattan federal court, Tantaros said that her ex-bosses at Fox monitored her emails and listened to phone calls, and then conveyed "that they were doing so through cruel social media posts." The complaint asserts that a forensic examination showed that anomalies on Tantaros' laptop "are not malware or known viruses that could have been found or transmitted through 'general surfing' of the Internet." Moreover, the complaint alleges that the surveillance continued both after Tantaros left the network last year and after former Fox News chairman Roger Ailes was ousted amid sexual harassment allegations last summer. 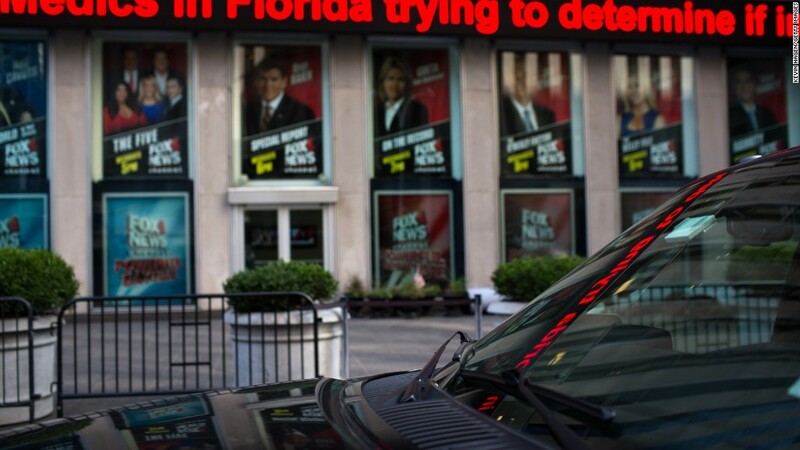 In a statement from their outside counsel, Dechert, Fox News and its executives said they "flatly deny that they conducted any electronic surveillance of Ms. Tantaros." "They have no knowledge of the anonymous or pseudonymous tweets described in her complaint," the statement said. "This lawsuit is a flimsy pretext to keep Ms. Tantaros and her sexual harassment claims in the public eye after the State Supreme Court directed her to bring them in arbitration." Susan Estrich, an attorney for Ailes, said the lawsuit "is without merit." "Ms. Tantaros and her attorney continue to file one lawsuit after another in an obvious attempt to get publicity. This suit has no merit. And any suit arising out of her employment at Fox News belongs in arbitration, as they well know," Estrich said in a statement. "The courts and the parties should not be burdened by repeated filings such as this." A former co-host on a pair of Fox News talk shows, "The Five" and "Outnumbered," Tantaros sued the network last August, claiming she was sexually harassed by Ailes and that she was punished after reporting the abuse. That lawsuit, which was filed a month after Ailes resigned in disgrace, also alleged that Tantaros was the subject of unwanted advances from Bill O'Reilly, the popular host who was let go by Fox News last week following revelations of settlements paid to women who accused him of inappropriate behavior. Judd Burstein, Tantaros' attorney, said his client was surveilled because "she was an existential threat to them." "She's the only person who alleged that the problem was not just Roger Ailes or Bill O'Reilly, that it was an endemic problem," Burstein told CNNMoney. The new complaint says that its claims are "fundamentally different" than those detailed in the lawsuit filed last year, which has moved into arbitration.